The Trump Administration saved taxpayers $774 million last year by beginning to privatize FEMA flood insurance risk and intends to go further in privatizing risk this year. The Federal Environmental Management Agency’s privatization of $1.024 billion of flood insurance risk to 25 reinsurers in the first days of the Trump Administration for $150 million was seen as controversial because reinsurer paying of claims did not kick in unless FEMA lost more than $4 billion during the period from July 1, 2017 to June 30, 2018. 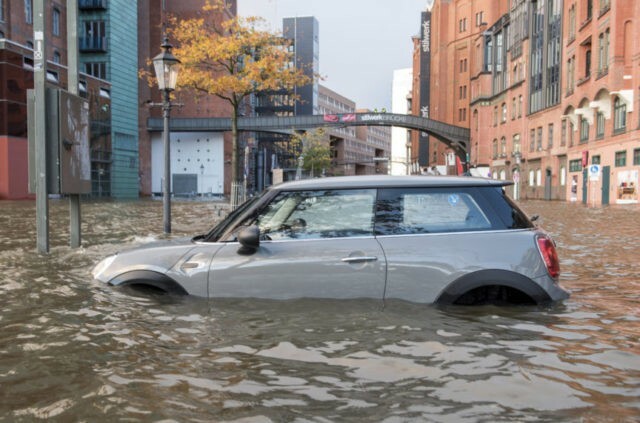 Privatization critics argued that FEMA’s National Flood Insurance Program (NFIP) historically broke-even almost every year by taking 86 percent of the premiums from local Direct Servicing Agents providing small insurance company ‘Write Your Own’ policies. FEMA agreed that the cost of its flood insurance program was fully covered by premiums until the end of 2004. But argued spectacular losses primarily from Hurricane Katrina in 2005 and Hurricane Sandy in 2012 had caused NFIP to accumulate a $25 billion of debt. Just seven weeks into the privatization, Category 4 Hurricane Harvey made landfall in Texas on August 25, 2017, and caused over $125 billion of U.S. damages in Texas, Louisiana, Mississippi, Tennessee, and Kentucky in the next week. With losses of about $8.5 billion, FEMA’s use of reinsurance saved the American taxpayers $774 million. Congress directed FEMA to operate the National Flood Insurance Program (NFIP) beginning in 1968 to provide federally guaranteed flood insurers coverage anywhere in the U.S. Of the 5 million taxpayer-guaranteed flood insurance policies issued last year, the majority are for homes and businesses at hurricane risk in Florida and Texas. But the non-partisan Government Accounting Office studies found that FEMA’s flood insurance program is “structurally weak,” because it continues writing insurance for known flood plain properties that cause about $200 million of repetitive-losses each year. FEMA gained the authority to restructure NFIP and begin privatizing flood risks away from taxpayers through private reinsurance under the Biggert-Waters Flood Insurance Reform Act of 2012 and the Homeowners Flood Insurance Affordability Act of 2014. FEMA has already enlarged its privatization effort on similar terms as last year with a $1.46 billion reinsurance placement with 28 private sector reinsurers. But based on the initial success, FEMA confirmed that by July 1 it will make a much bigger privatization move by selling insurance-linked securities, known as catastrophic bonds, through Wall Street investment banks to create its own flood reinsurance coverage. So-called “cat bonds” that transfer a specified amount of risk from an insurance company to investors started 24 years ago after Hurricane Andrew devastated Florida and then the Northridge struck California. Private insurance companies have been using Wall Street to sell 3-year inherently risky junk-rated catastrophic bonds to reinsurers, hedge funds, and “vulture capitalists.” The cat bonds make interest payments as high as 20 percent, but the investors’ principal is cancelled if a major natural catastrophe is triggers a payout to the insurance company.